If you live in Ohio, you’ve likely noticed something crazy is happening with the weather. Many parts of the country have experienced the strangest “winter” this year. And yes, those quotation marks are intentional. Can you call 67F winter? Apparently you can in Ohio. Especially when it’s likely to snow again by the end of the week. I’m all for the elimination of winter all together. Yes. I know: Global warming is bad. Melting of the polar ice caps will cause devastating global changes. Blah, blah, blah. The truth is I don’t like the cold one bit. It never was a problem for me when I was younger. I grew up in CT….we had four even seasons, and our fair share of snow. I haven’t lived there in over 12 years now, and my body has grown accustomed to the new places I lived: South Carolina, Georgia, Kentucky, and now Ohio. But I’ve also developed some other issues, like Reynaud’s Syndrome, which make my hands and feet extra sensitive to the cold. I can’t even think about wearing flip flops to the grocery store without having an attack in the freezer section! It’s ridiculous. Even more than the cold, my body is affected by the rain. Two days prior, I can tell you, without fail, if it’s going to rain. As much as I like being a human barometer, sensing the change in pressure only means one thing…the pain is on the way. So for the last few days, even though I’m glad it’s not the white stuff, this pain has been tortuous. It’s not just my joints or old injuries flaring up. It’s everything…from the hair follicles on my head to the tips of my toes. Everything. The only thing that makes the pain unnoticeable is the introduction of a different kind of pain…enter the hill workout from this afternoon. 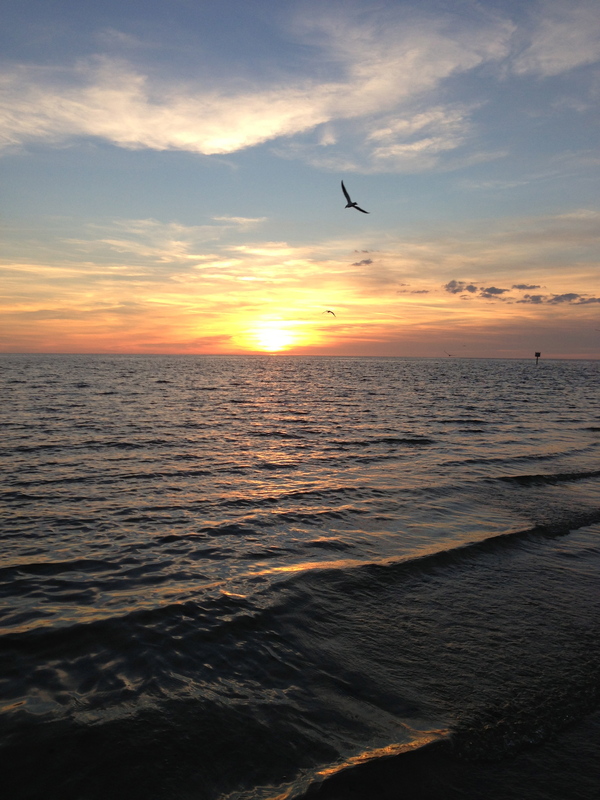 And so I ask you…is it summer yet? Tomorrow’s news: There are no hills in Ohio! It’s been two weeks since Goofy. It’s time to make some decisions, and focus on what’s next. I’m feeling 100% after taking two “easier” weeks…so much so, that I thought a half marathon on a treadmill was a good idea yesterday. I was thinking I had signed up for a virtual half organized on by Moms Run This Town: the Winter Runnerland 5K/10K/Half. This was a great idea before I looked at my schedule. I already had one of each of those planned in January, plus a marathon. What’s one more race? I had others tell me to just use my time from the WDW Half Marathon to cover this race, but I don’t work that way. So yesterday was my only choice. A handful of ENERGYbits, a banana, and 2 bottles of water later…done. The nice thing about the TM is that your banana is still intact at mile 8! 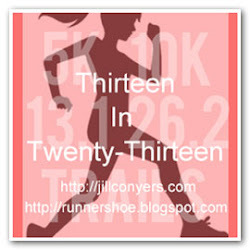 So now I’m back on track to hit my 125mi this month…and to start training for the Xenia Half Marathon on April 7th. I’m shooting for an ambitious PR at this event. I haven’t “raced” a half since 2009, as I use most of them for training runs or pacing opportunities. I still have a potential 50k on February 17th, but I’m debating on attempting that distance. I know I can do as little as 10K at that event, and I’ll have to see how the old body is holding up around that time. And now…the track. It’s time to start adding speed work. And for me that means Yasso 800s. Although I’ve heard people use that phrase with disdain, I actually like them. Maybe it has something to do with the namesake. Anyway…this week I have 4×800. Woot! Can’t wait. How’s your training going? Any track workouts planned? Tomorrow’s news: Rain, rain, go AWAY! What a surprise I found when I opened the mailbox today and found a bag of ENERGYbits! I ordered them 4 days ago! 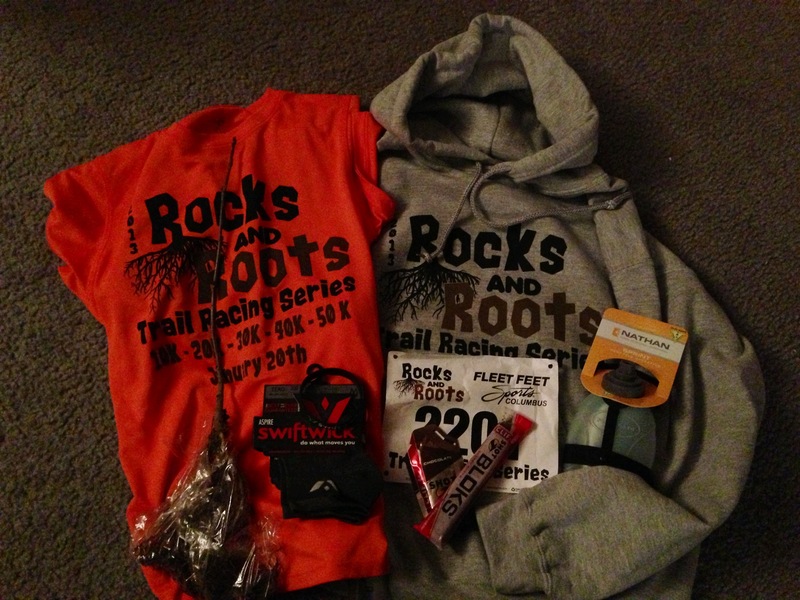 Nice.They even threw in a runner’s pouch…so no more rattling to provoke my friends’ anger jealousy. My last post told you about my personal experiences with bits, and now I’d like to give you a few more details. Please ask questions. If I don’t have the answers, I will get them for you! The folks at Bits of Health can supply you with tons of information about their products (there are 4 types of bits), including nutritional information, health benefits, and information about algae in general. I know what you’re thinking…yuck yum! No worries, I don’t think it tastes bad at all. It does have a very “green” taste (think the seaweed wraps used in sushi) and many people swallow the tabs rather than chew them. Remember because bits are 100% algae, there’s no enteric coating, meaning you’ll start absorbing the nutrients immediately, and you’ll probably taste the algae. A big swig of water or a piece of gum takes care of that. Algae is a food, not a supplement. It is grown hydroponically, dried and pressed into tabs vs. supplements which are made in a lab. 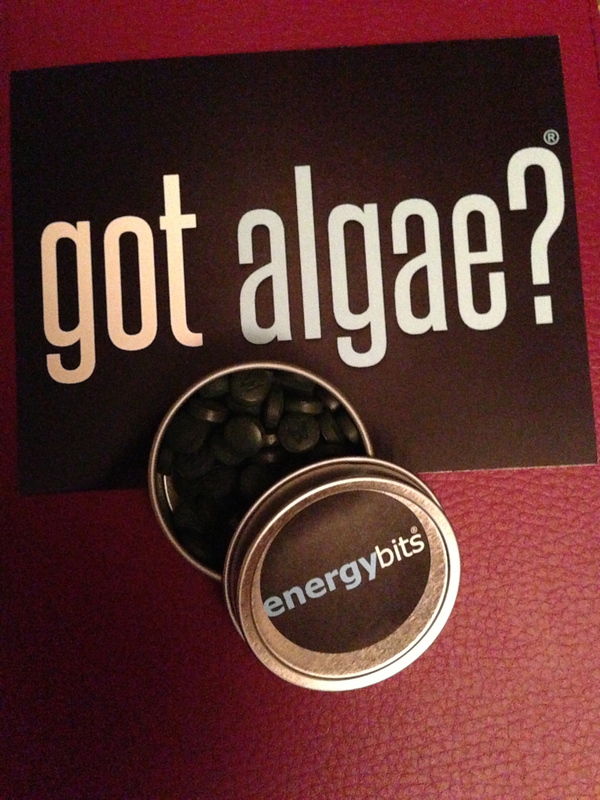 ENERGYbits only contain one ingredient: 100% non-GMO organic raw Spirulina Algae. No sugar, chemicals, caffeine, gluten, soy, or additives. They are vegan and Kosher. The tabs from Bits of Health meet all FDA, NCAA, WNBA, NBA, and Olympic requirements and regulations. They contain no banned substances and have no drug interactions…because it’s food! People in Asia, Olympic athletes and NASA astronauts have been eating algae for years! Backed by 50 years of science, algae is the most nutrient dense food in the world. ENERGYbits contain 64% protein. That’s 3 times that in a steak! And because the protein is already in amino acid form, it can be immediately absorbed into the body. They also have a high concentration of B vitamins, Omega 3s, fatty and amino acids, antioxidants and electrolytes. 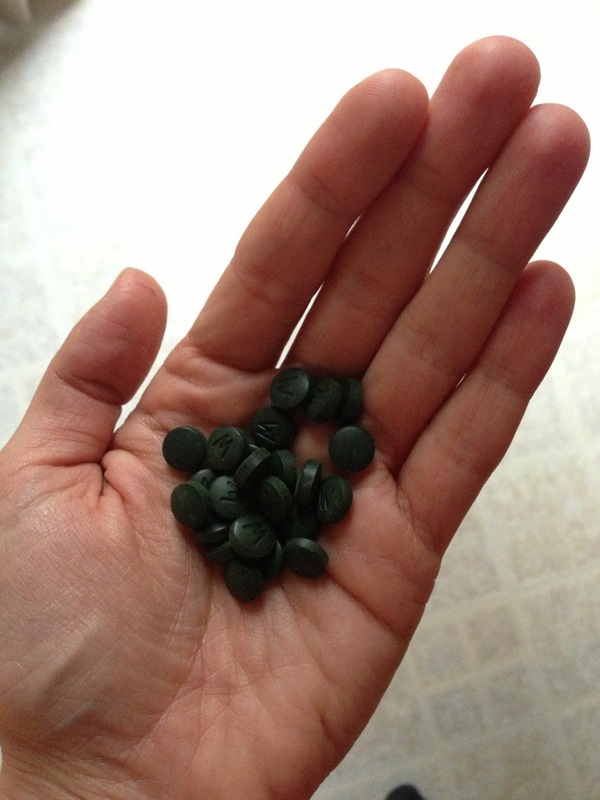 They release nitric oxide into the body, which opens blood vessels and speeds nutrients to the brain and muscles. Do you know that adrenaline rush you get from doing something daring? Imagine if you could channel that into your workouts! And at 1 calorie per tab (20-30 tabs per day is the recommended dosage), it’s far superior to foods with that much protein, or to those gels and bars you see people eating for an energy boost. As a vegetarian distance runner, this is music to my ears. More protein than a steak in a plant? Take that carnivores. But seriously, it’s great for you meat-eaters too. 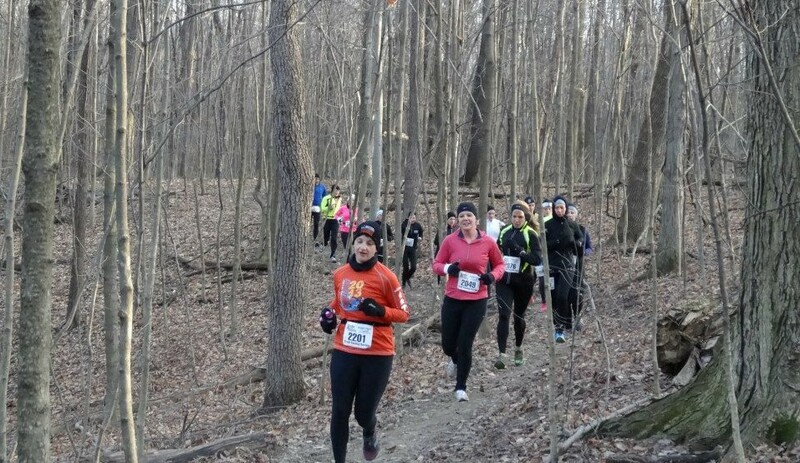 When was the last time you saw a runner carrying a steak in their hydration belt? Have a hard time eating enough “green” foods? One bag of ENERGYbits has the nutrition of 20-30 CARTS of fruits and vegetables. Don’t just take my word for it. Try it! I’d be happy to get a sample to you. And use the code 1MILE2GO to receive 15% off your order. When you place an order using my code, you save 15% and I do receive a percentage of the rest…so help a girl out! As I said the other day…and as that badge in the sidebar indicates, I’ve recently become a Brand ambassador for ENERGYbits. What’s that? You haven’t heard of it? ENERGYbits are 100% Non-GMO raw Spirulina Algae…they contain no sugar, no chemicals, no caffeine, no gluten, no soy, and no additives of any kind. They are a whole food, not a supplement or a vitamin! I trust if you’re reading this, you can read all about them here. I’ll go into more detail about the nutritional content and some health benefits in my next post, but today I’m going to tell you what you really want to know: does it work? I received a sample of this amazing product and couldn’t wait to try it. The first time I decided to eat 10tabs and see if I noticed a difference. The recommended amount is 20-30/day, but I’m smaller than the average person, and I wasn’t planning to exercise that day. I ate the tabs and waited about 10 minutes. Then I got stated on my daily tasks. Time to try it on the run. The next day I had a 12mi run scheduled with a friend. I didn’t have any coffee beforehand, even though I normally would, mostly because I want to get the full effect. I also ate half of a Luna bar an hour before we took off…normally I’d likely eat the whole thing with my coffee. The bits are more easily absorbed on an empty stomach, and they only provide 1cal per tab, so I knew I’d need to eat on the run. 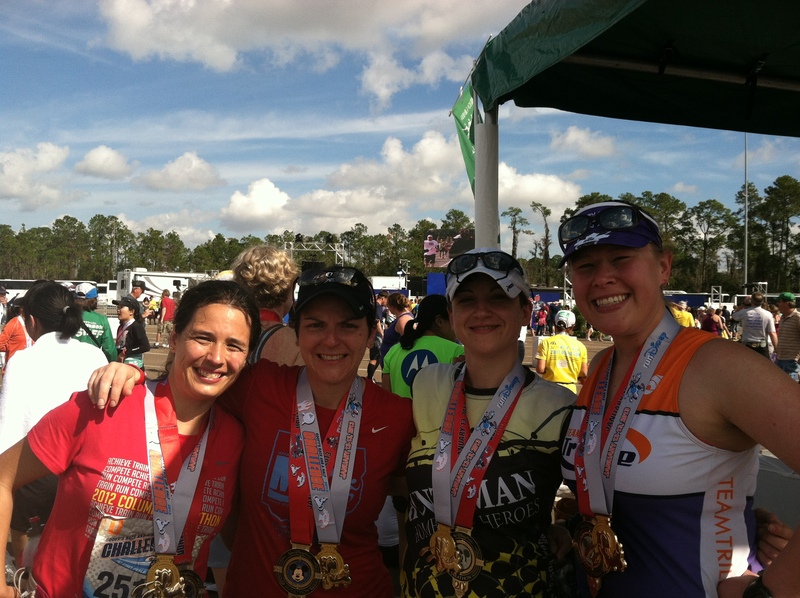 We decided at the start we might as well just run the 13.1…for fun.Yes…we’re crazy adventurous. I took a handful of bits at the start. Again I took less than the suggested dose, not knowing what would happen to my stomach. The trail was more than a little icy that morning and all the porto-potties have been removed for the winter. I know…taking chances. Zero issues. I ate the second handful of bits at mile 6, and ate a Honey Stinger Gel around mile 8 (normally I would need one between 5.5-6mi). The pace was conservative due to conditions, so we were out there a little longer than expected. Despite my best attempts, “runner math” failed me again. I consider myself a math-nut, but don’t ask me to do any calculations on the run. I could write a whole post about that alone…another day. We got back to our cars, and by then, the park was full of families sledding on the fresh snow. Time to get out of there and hit the showers. I was prepared for the post-run crash. It didn’t happen. I was hungry, but not the “rungry” my friends and I usually joke about. No nap necessary either, which is great because I have 3 kids under the age of 9! I spent the rest of the day enjoying some soccer on TV and playing with the kids. I was sold. But I had one more test in mind…Goofy. I saved enough bits from my sample to eat on both days. I carried the small tin in my hydration belt…to the displeasure of my running buddy’s ears (sorry Laurie), and ate a handful in the corrals just before the start. Wake up was at 2am both days, and I easily stayed up until 9:30pm after the races. I had one cup of coffee prior to leaving for Epcot, and a second one when we got home. Pasta the night before both races, 1 gel during the half (same as the training half above), and 1 gel (mile 7), 2 halves of a banana (miles 11.5 and 18.3), and two pieces of chocolate (mile 22) during the marathon. That’s it! The recovery boxes prepared for us meant a mini-Clif protein bar, cheese and crackers, and…naturally…more chocolate. It is Disney World. I was never starving, and certainly never exhausted. I ran the last three miles of the marathon on day 2 a full 2min/mi faster than I did the rest of the race. I have never had that much energy after mile 23 during the previous 3 marathons. So, does it work? For me it certainly does. For you? Why not try it. Use the code 1MILE2GO to get 15% off your order! 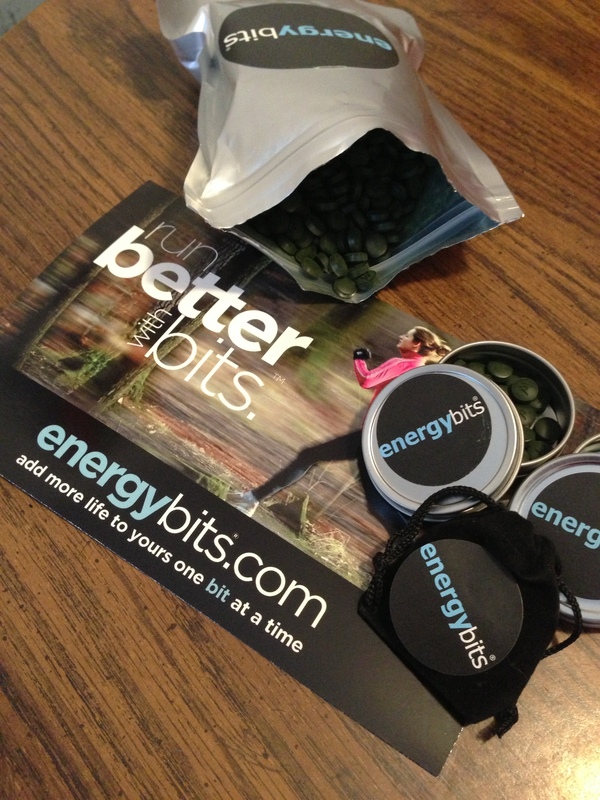 You can follow @ENERGYbits on Twitter, and like their page on Facebook, and they even have samples you can buy right from their Facebook page. If you’re local to Columbus, or really nice to me, I can hook you up with some bits to try as well. Note: I was sent the mentioned sample at no cost. I have received no compensation for this review. All opinions are my own.